Perfect at any time of the year! 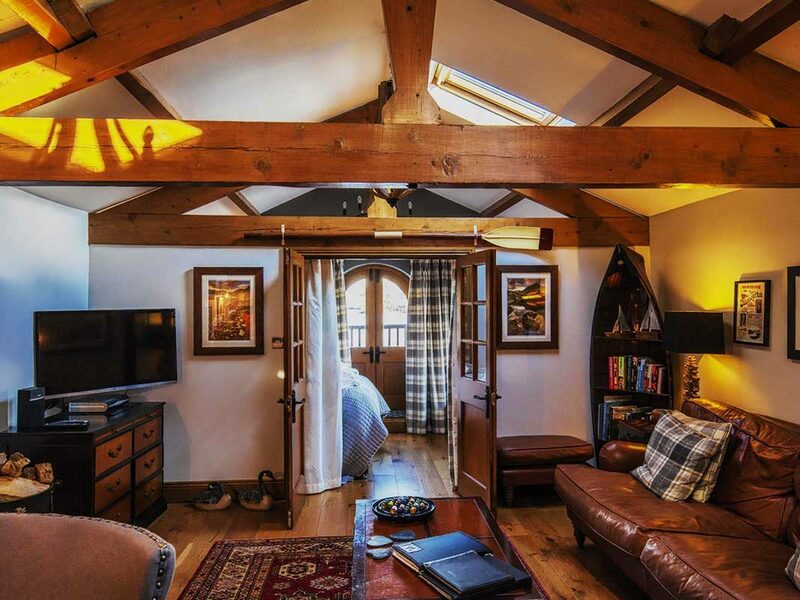 This unique, iconic, luxury Lake District Cottage is an ideal honeymoon cottage in a location to die for. 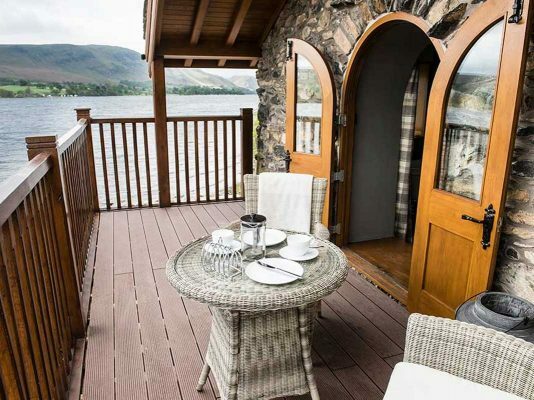 Stunning views of Lake Ullswater and the fells can be enjoyed whilst relaxing on the balcony of this traditional boathouse or from the bedroom through the patio doors. Unsurprisingly, The Duke of Portland Boathouse has been voted “the best waterside retreat” by BBC Countryfile Magazine! Its location at the top of Ullswater gives it superb, unparalleled views across this beautiful lake. 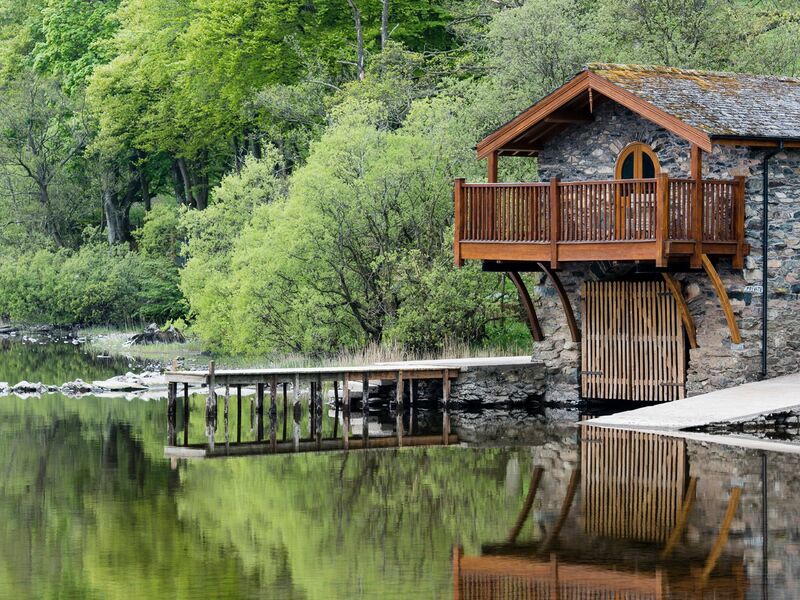 The boathouse is one of the most iconic and most photographed buildings in the Lake District. It originally belonged to the 3rd Duke of Portland in the 18th century, who was Prime Minister twice and was in constant dispute with the Earl of Lowther. Unfortunately, the Duke of Portland had to sell the boathouse along with his Cumberland estates to pay his legal bills. His loss is our gain! Park beside the boathouse and climb the steps to enter a unique, romantic and cosy interior that provides everything needed for a perfect stay at every time of the year. Shades of Farrow and Ball are mixed with sumptuous furnishings and luxury fabrics. 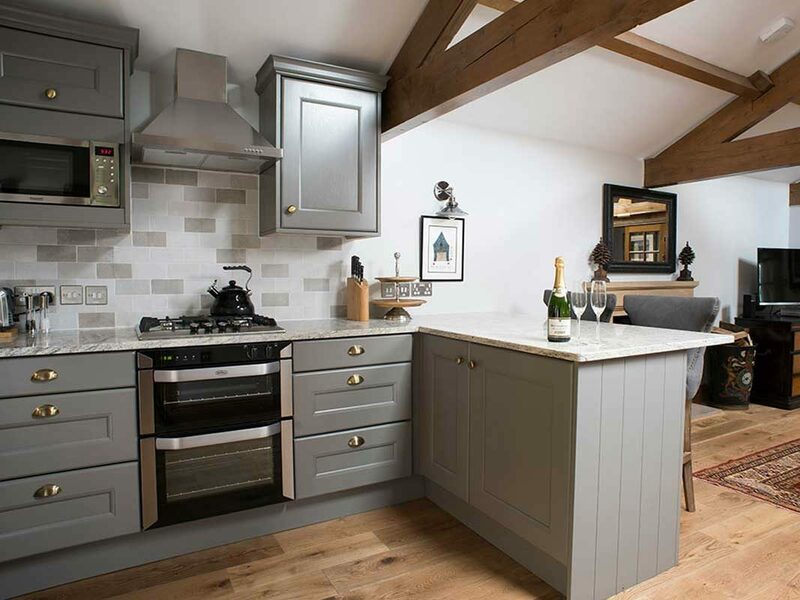 The bespoke painted kitchen with granite work tops provides all you need with a generous breakfast bar and comfortable stools for intimate dining a deux. There is an LPG oven and hob, microwave, dishwasher, fridge, and coffee machine (accepts Nespresso coffee pods, not provided). After dining you can sit back and relax on a sumptuous leather sofa in front of the wood burning stove. TV, DVD and Bluetooth sound system are all provided for your entertainment. 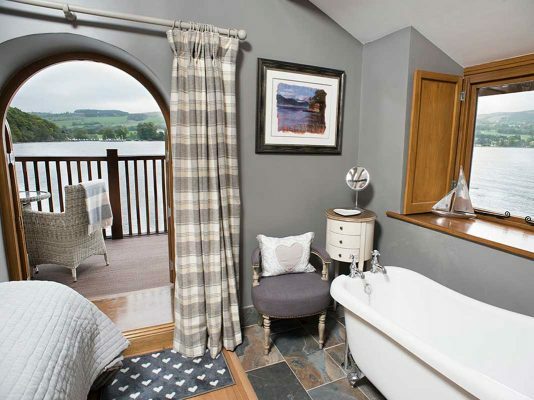 Unwind in the luxurious slate shower room with overhead shower, WC and hand basin. Fluffy towels and bathrobes are provided together with a range of toiletries. Enjoy the views down the length of the lake from the romantic bedroom. 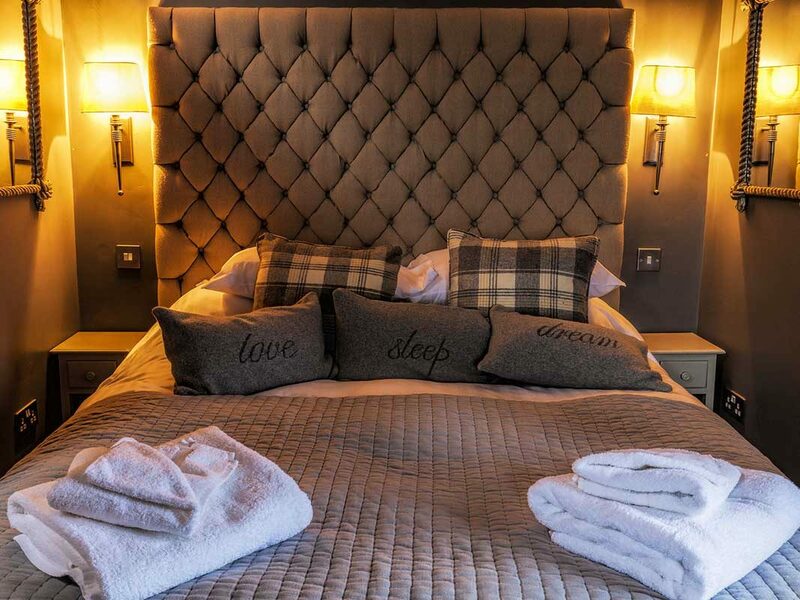 You can gaze out at a starlit sky from the comfortable king size bed with luxurious Egyptian Cotton bedding or relax in the slipper bath sipping a glass of champagne! Double doors open onto the balcony from which you can truly experience the breath-taking views! This is an amazing place to enjoy breakfast or just sit and contemplate the beautiful surroundings and its wildlife. Cosy rugs are provided for chillier evenings! The boathouse also has its own private jetty and owns a quarter of a mile of lakeshore with fishing rights. If you are tempted out of the boathouse, the renowned Sharrow Bay is across the lake and the Another Place Hotel is also a short drive down the lakeside. Both are renowned for fine dining. Alternatively, there are traditional Cumbrian pubs in nearby Pooley Bridge. 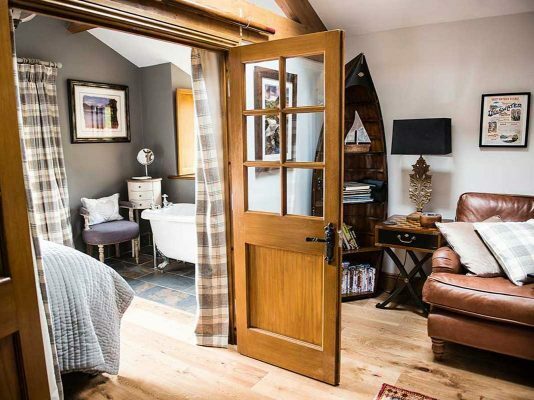 This unique, iconic, luxury Lake District Cottage is an ‘ideal honeymoon cottage in a location to die for’, stunning views of Lake Ullswater and the fells can be viewed whilst relaxing on the balcony of this traditional boathouse or from the bedroom through the patio doors. You will not be surprised once you visit this area that Ullswater is known as England’s most beautiful lake. 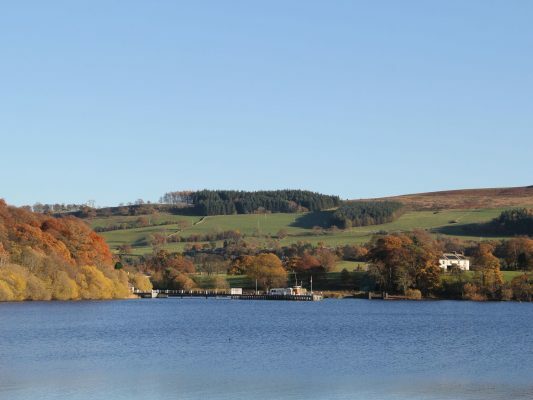 Being the second largest lake in England there is a tremendous amount of things to see and do, whether you want to be on the lake, close to it or even above it on the surrounding mountains and fells. Once the home of William Wordsworth, this is a picturesque, unspoilt part of the Lake District National Park. Whether you want to try your hand at sailing, kayaking, fishing or simply hire a rowing boat this area will keep you coming back again and again. There are many activities in the area including horse riding, cycling, mountain walking and rock climbing. Ullswater is situated 10 miles north of Ambleside, 5 miles south of Penrith and 15 miles east of Keswick and within easy reach of each of these local towns. You will not be surprised once you visit this area that Ullswater itself is known as England’s most beautiful lake. Being the second largest lake in England there is a tremendous amount of things to do and see whether you want to be on the lake, close to it or even above it on the surrounding mountains and fells. Being once the home of William Wordsworth it is a picturesque unspoilt part of the Lake District National Park. Whether you want to try your hand at sailing, kayaking, fishing or simply hire a rowing boat this area will keep you coming back again and again. There are many activities in the area including horse riding, cycling, mountain walking and rock climbing. 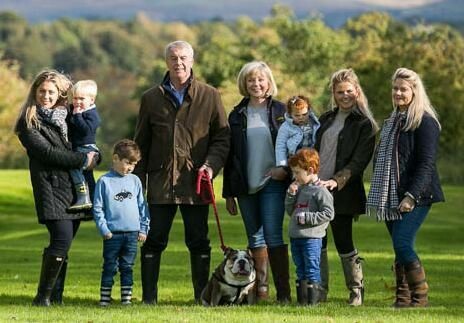 “The Boathouse has provided an opportunity to work together as a family to provide memorable, romantic occasions and anniversaries for guests throughout the UK, and continues to excite and reward us by reading the glowing reports from guests in the visitor book. If you would like to discuss your stay at our boathouse, please fill out the form below. Many thanks, David & Julia. Wonderful stay for our 10th wedding anniversary. Stunning views, walks and an amazing clear night for fabulous stargazing. Truly Wonderful! we got married today and managed to book the night to stay at this amazing place. Best day ever!! A fantastic place in a wonderful location. A perfect relaxing break. Highly recommend Bistro 1863 in the village had an amazing meal there and staff extremely friendly and attentive. We will definitely be back to the fabulous Boathouse. A return visit to a magical place. Beautiful sunrises on crispy November mornings. Evenings by a cosy fire. Amazing scenery. I booked the Boathouse for my husbands birthday, and we weren’t disappointed. After passing the Boathouse for many years. We were over the moon to be finally staying. The views are breathtaking, the cottage is first class. We will be visiting again definitely. Thank you! A wonderful few days. Fantastic setting. Loved the wood burner in the evening. A wonderful relaxing stay – perfect! Highly recommend Bistro 1863 in Pooley Bridge for an outstanding evening meal. What a magical place it took my breath away when we opened the door. Like many others we have driven passed for many years and dreamed of staying… my dream came true – a magical place to stay for our 28th Wedding Anniversary. Hopefully first of many stays. Truly magical!!! The most romantic hideaway to celebrate our engagement! Just perfect. Big birthday and wedding anniversary. Saw the place in a magazine and was determined to come and see it for myself. You open the most intriguing door to see the most amazing sight which just continues to charm you. Wow “find a beautiful place and get lost!” Thank you. Fantastic stay, wonderful setting for our 40th wedding anniversary. Loved the place when we saw it years ago. 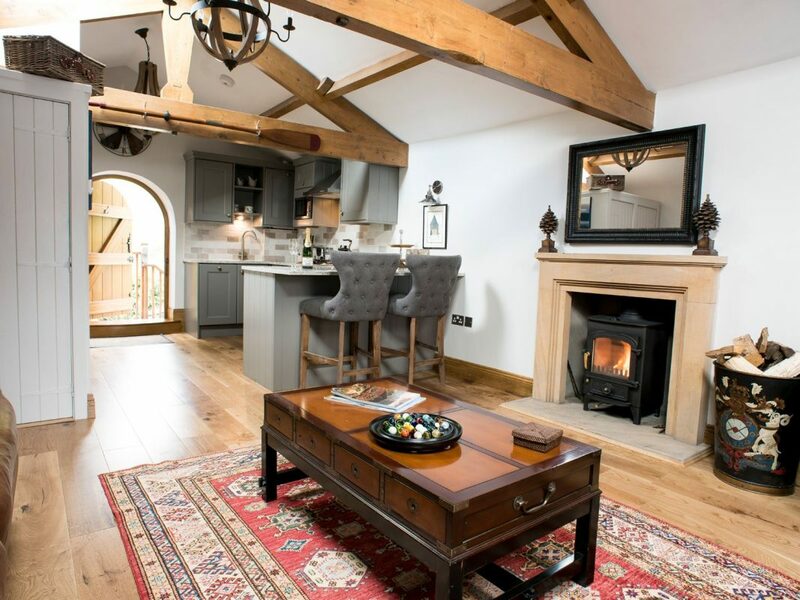 David and his team have thought of every single detail….binoculars to make the most of the spectacular views,candles games,good books,and dvds,sky and amazing little pubs a stone’s throw away… check it out…you won’t be dissapointed…. We stayed here for our honeymoon in 2012. Lucky enough to live only a few miles away and we drive past it all the time. Beautiful. 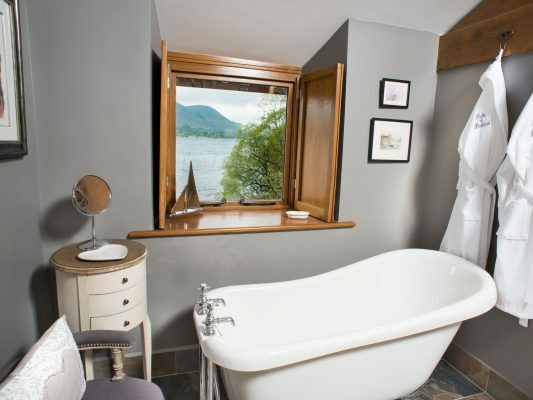 Duke of Portland on Ullswater has undergone a stunning removation by its Carlisle owner Julia Hogarth.